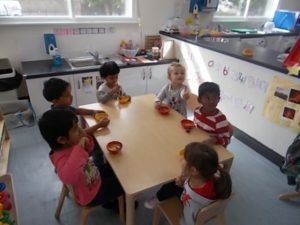 Welcome back everyone! 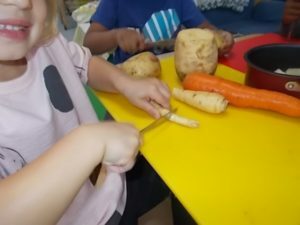 This week in nursery we cut up vegetable learning how to use the knives safely. 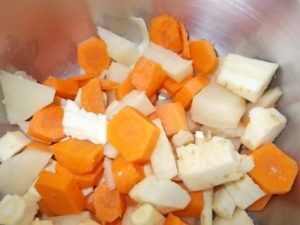 This lead onto is making soup for snack which some of us liked more than others. 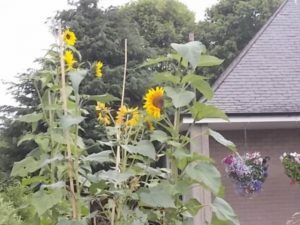 On our walk we seen tall sunflowers like the ones we planted before the summer. On Friday we went on a walk to the burnie we seen lots of dogs when we had our snack.